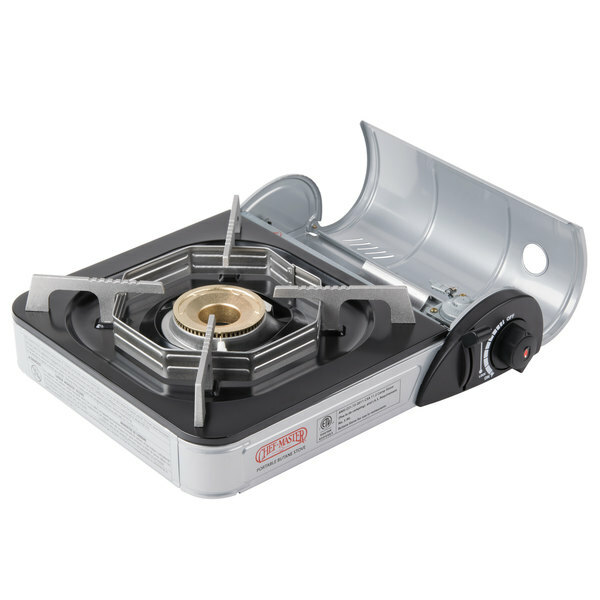 Cal-Mil 1576-74 Soho Silver Steel Butane Burner Frame - 14" x 13 3/4" x 7 1/4"
Cal-Mil 1576-13 Soho Black Steel Butane Burner Frame - 14" x 13 3/4" x 7 1/4"
Cal-Mil 1556-52 Westport Butane Stove Frame - 14" x 14 1/2" x 7 1/2"
Cal-Mil 3435-99 Madera Butane Range Frame - 12 3/4" x 14 3/4" x 6 1/2"
This Chef Master 90011 portable, high-performance butane stove is perfect for display cooking and off-site catering. 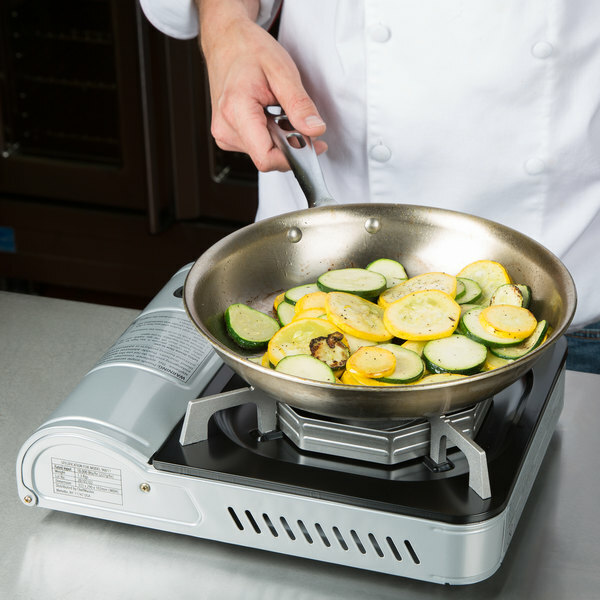 Whether you are whipping up omelets on your breakfast buffet or display cooking at off-site catering jobs, this 1-burner butane countertop range is perfect for the times when you need plenty of portable cooking power. 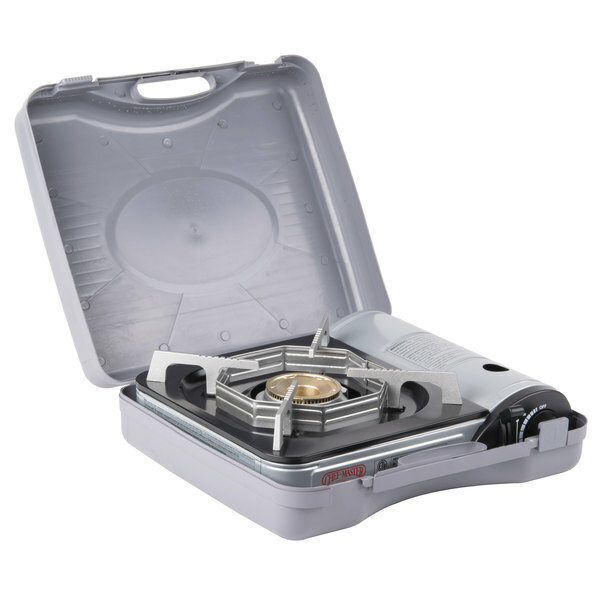 Light, efficient, and easy to transport, this small butane stove is the perfect choice for locations where traditional electric or gas equipment isn't available. "Because of the cheap price, I was concerned I wouldn't get the performance I needed. 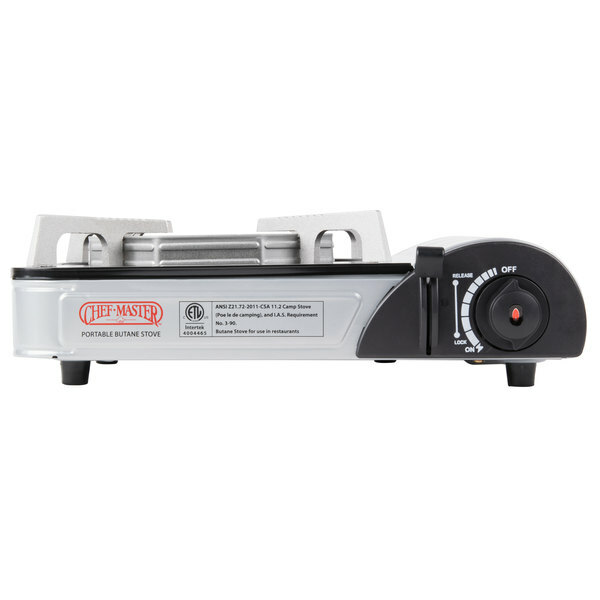 I was wrong, these little stoves pump out plenty of btu's for our omelet station." 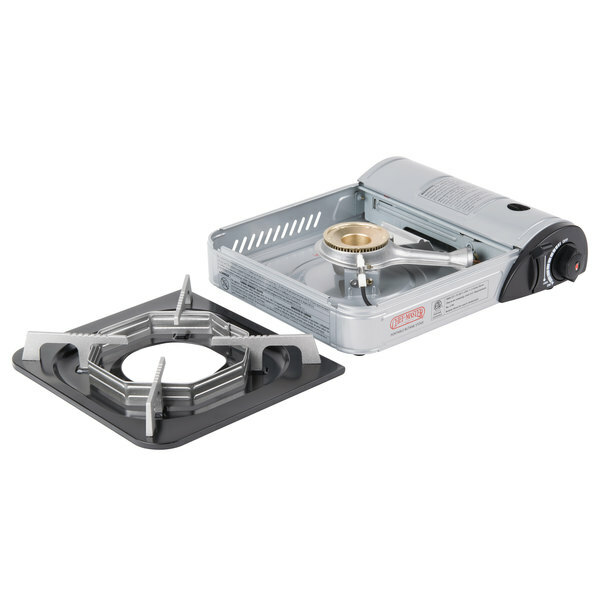 This butane countertop stove includes a piezo electronic ignition system, which means no more fumbling with matches! 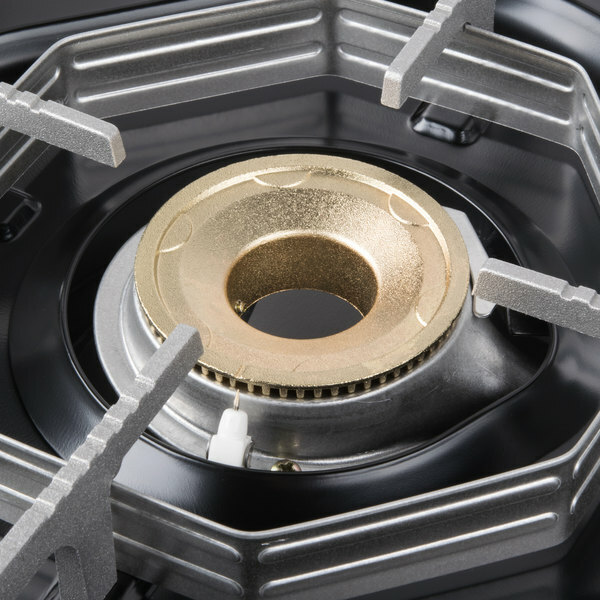 This countertop range even features a safety stop which will shut down the stove if it senses overheating. 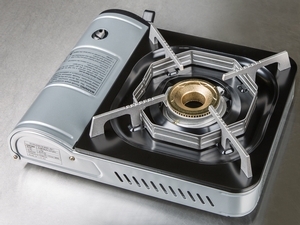 The brass burner on this butane stove holds heat well, resists corrosion, and also resists warping or deforming. This stove has a high heat output of 10,000 BTUs with an adjustable heat range from simmer to boil. 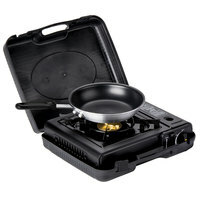 This unit comes with a high-impact plastic carrying case that makes it easy to transport the stove to and from events. Covered by a one year manufacturer’s warranty against defects. This is a very good burner. It is very sturdy. i would have given it 5 stars if the cost of delivering the butane cans wasn't so expensive. Wish I purchased this first instead of the non-name brand version. The flame was strong, steady, and was not altered by wind gusts while I was outside. I intend to buy an additional 1 or 2 models. 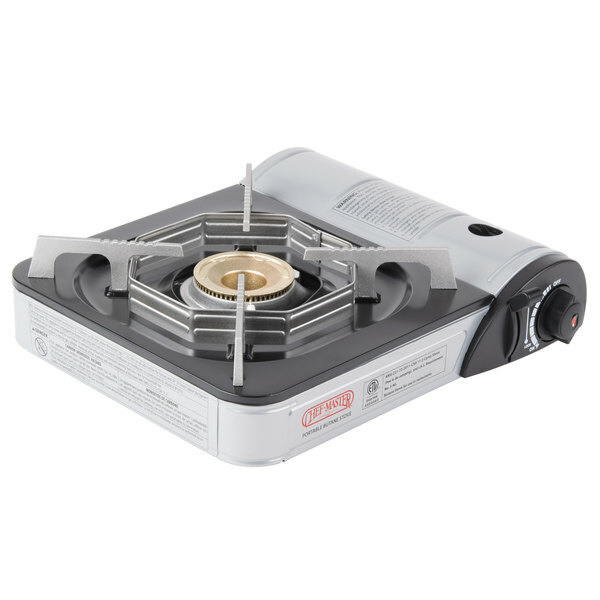 Nice portable burner with decent btu output. Works as intended. The case is kinda cheapo plastic but does the job of storing the burner just fine. 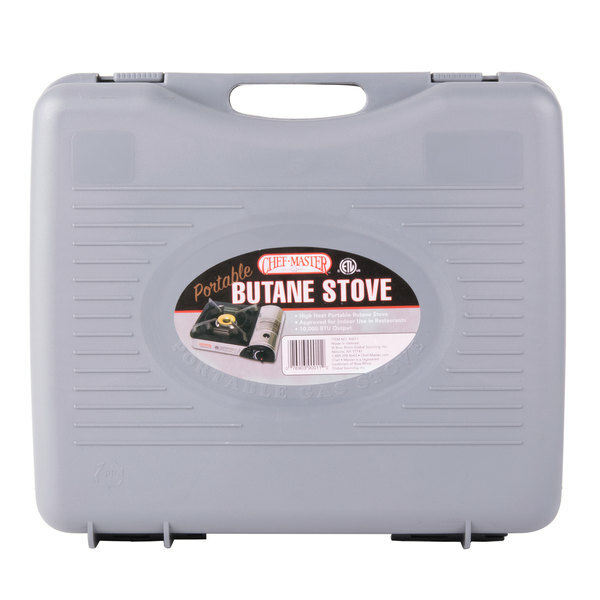 I've used this portable butane stove for many high volume catering events and it is very powerful for its size and very reliable. It's a great deal and totally worth every penny. The Chef master 10000 BTU single burner stove is a quality item. 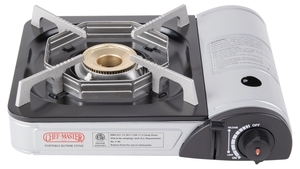 However, I believe they you are better buying the 8000 BTU stove that is half the price of this burner. I have both stoves and I feel the 8000 BTU stove is a better deal. Bought this for my guest house and my friends can make their own breakfast without waking me up. I love the auto shut off feature if it gets to hot. Because of the cheap price, I was concerned I wouldn't get the performance I needed. I was wrong, these little stoves pump out plenty of btu's for our omelet station. 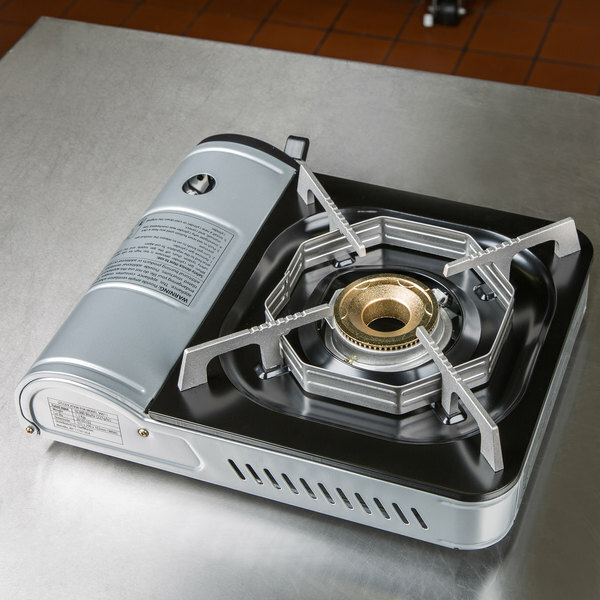 The Chef Master 1 - Burner High Performance Butane Countertop Range is AWESOME!!! Let me tell you as a caterer, you often run into situations where the event you are catering does not have a "kitchen". 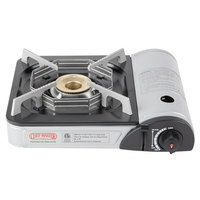 Having this burner has been a God send, it is lightweight and comes in a handy carrying case. It was easy to operate, I just popped in a can of butane it started right up. I will definitely be purchasing another...if not the double burner. Thanks Webstaurantstore! Great purchase at an economical price. This has been a helpful addition to our catering repertoire - we mostly use it with a cast iron pan to warm tortillas to order for our Mexican buffets, but I can see how it would have many uses, like table side service. It is lightweight and very portable, and I was pleasantly surprised at how easy it is to operate and light.. I like to cook for family and friends at home. I enjoy flaming dishes and had been using old fashin alcohol burners. Purchased this butane burner and obtained excellent results in terms of cooking effectiveness and clean operation. 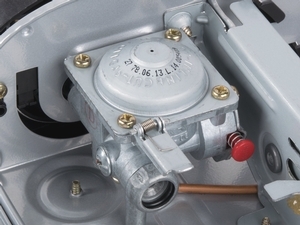 I like the safety features of this burner, including the canister high pressure shut off. Excellent purchase. I use this whenever I go out door cooking. It allows me to cook where and when ever I would like. It's an essential item to have especially when you go camping! 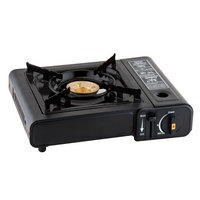 This portable burner is great for action stations on a buffet. I did a three burner set for an omelet station. Also they are easy to clean as well. Over 9,000 BTU's on high is such a great deal. these are a top of the line portable range at a killer price. 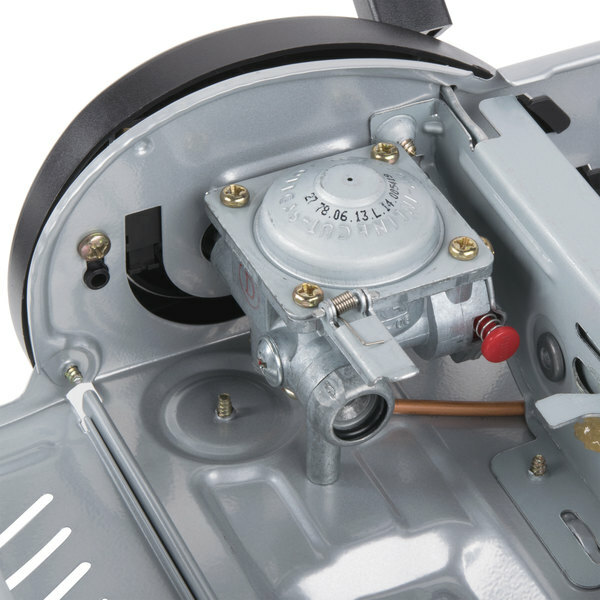 A very reliable and durable range, great value as well. The stainless steel presents itself when using in front of other people to showcase a food item. What a great portable countertop range! Perfect for showcasing an item out in the dining room. Great for tableside service too! Good for cooking for guests on a buffet!! 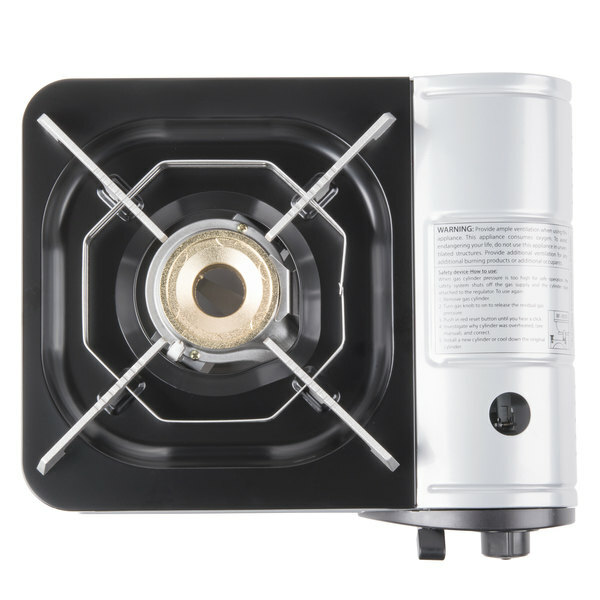 A very reliable and light weight stove with a very durable brass burner and nice storage case. 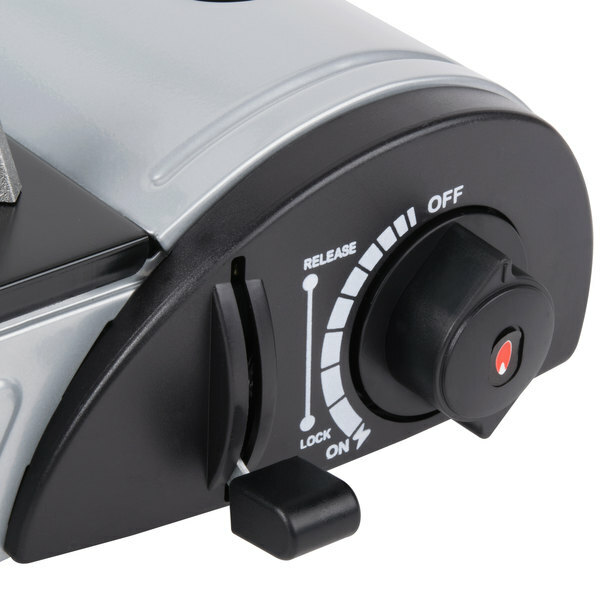 I have used the stoves doing several cooking demonstrations and they operated flawlessly. I also used one during a cooking competition with a large 30 gallon pot, it handled the weight of the pot and it's contents just fine. i would recommend this stove because of the brass burner, believe it will greatly increase the stoves life. We use these at our vietnamese restaurant in new orleans for Thai soup, and vietnamese seafood soup. This thing really heat up the soup in seconds. I love it. Save Up To $6.54 with our Recommended Product! 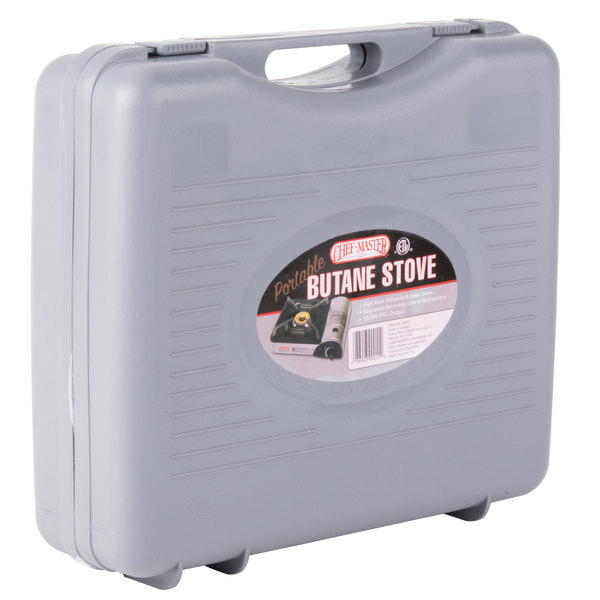 Try this 1 burner butane countertop range / portable stove instead! It has all of these same great features, at a much lower price!